Let’s examine home battery systems and blackouts. 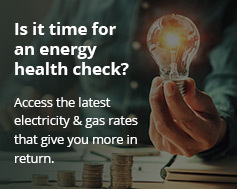 The recent mega-blackout in South Australia likely has many households across the nation giving more thought to installing solar and/or a battery system – here’s some important points to bear in mind. As we mentioned yesterday, households with solar panels installed are generally in the same boat as everyone else during a blackout . They have no power. This is because regulations (and common sense) demand that grid connected solar power systems be prevented from exporting solar electricity during a blackout event. This is to ensure those working on repairing damage to mains electricity infrastructure aren’t electrocuted in the process. It also helps protect against further damage to already compromised infrastructure. The behaviour, which is built into the solar inverter, is called “anti-islanding protection”. The addition of home battery systems doesn’t necessarily avoid this issue. storing the high value electricity generated by solar panels for use during the evenings and mornings. For blackout insurance to occur, specialised or additional equipment needs to be installed. For blackout protection, what’s known as a hybrid system – which isolates the installation from the mains grid – is required. This is a feature that enables backup power potential. For grid-connected solar households wanting the peace of mind of backup power during a blackout event, there are several potential options worth exploring. The above solutions include the hardware required for automatically supplying power to loads in the event of a mains grid outage. Importantly, they are legal and safe to use in Australia. Bear in mind that generally speaking, Australia’s electricity infrastructure is quite reliable. So, the costs of also having a backup power option with a battery system vs. the benefits should be carefully weighed. Important tip: Beware of products bought online from overseas claiming to offer this sort of functionality. Your safety, that of others, and your home insurance policy remaining viable may depend on it. For more information on any of the solutions mentioned above, Energy Matters’ battery system experts can be contacted for an obligation-free chat about solar and/or energy storage options.